James Buchanan (Buck) Winn Jr. Image available on the Internet and included in accordance with Title 17 U.S.C. Section 107. Winn and Savage Mural on North Wall of Hall of State. Image available on the Internet and included in accordance with Title 17 U.S.C. Section 107. Wynn's Great Seal at the Hall of State. Image available on the Internet and included in accordance with Title 17 U.S.C. Section 107. WINN, JAMES BUCHANAN, JR. (1905–1979). James Buchanan (Buck) Winn, Jr., Texas muralist, sculptor, architect, and inventor, the son of James B. and Eva (McWhorter) Winn, was born on March 1, 1905, in Celina, Texas, where he lived until he graduated from high school. He continued his education at Washington University in St. Louis, studying art under Oscar E. Berninghaus and Fred Carpenter. After college Winn continued his studies of art and architecture at the Académie Julian in Paris, France, and then toured North Africa before establishing a studio in Dallas in 1929. In 1931 he married Kathryn (Kitty) Butler, an English teacher at Hockaday School. They had two children. During the 1930s Winn painted murals for the Dallas Medical Arts Building, Highland Park Village Theater, Titche-Goettinger Building, Burrus Flour Mills, Telanews Theater, Hillcrest Mausoleum, the Sylvan Supper Club in Arlington, the Driscoll Hotel in Corpus Christi, the Blackstone Hotel in Fort Worth, and the Commercial National Bank of Shreveport, Louisiana (restored in 1987). For the Texas Centennial and World's Fair in Dallas in 1936, Winn assisted Eugene Savage to produce the murals for the Hall of State. Other features in Fair Park by Winn included the Great Seal featuring the Six Flags of Texas for the same building, exterior brick motifs for the Women's Pavilion, and a bas relief for the main entrance. Winn's murals depict actual and mythical elements of Texas and Southwestern exploration, history, and culture. Winn Mural at the Gonzales Memorial Museum. Image available on the Internet and included in accordance with Title 17 U.S.C. Section 107. Winn's Morning Glory sculpture at Aquarena Springs in San Marcos. Image available on the Internet and included in accordance with Title 17 U.S.C. Section 107. Winn's Morning Glory sculptures airlifted in August 2011 to the Winn Family Ranch in Wimberley. Image available on the Internet and included in accordance with Title 17 U.S.C. Section 107. In 1940 Winn and his family moved to a ranch in Wimberley, Texas, where he continued to produce other murals and architectural art for the State Historical Museum in Gonzales, Victoria National Bank, the Power and Light Building and Oak Cliff Savings in Dallas, and installations at the following institutions of higher learning: Southwest Texas in San Marcos, Texas Christian in Fort Worth, Howard Payne in Brownwood, Southwestern in Georgetown, and the University of Texas in Austin. Other major commissions included the massive Magic of Flight bas relief for the Amon Carter Airport in Fort Worth, wood murals for the Mercantile Bank in Dallas, and sculptures, bas reliefs, and murals for historic, educational, and commercial sites across the Southwest. Winn's stamp design won the competition for the United States commemorative of Texas statehood in 1946. He also patented techniques and machinery for the use of lightweight concrete, fiberglass, and other innovations, continually seeking durable, economical building materials, especially those that might be used for housing; he pioneered in "fan-folded" roof designs and taught and lectured in schools of architecture, including UT-Austin, Texas A&M, Princeton, Berkeley, and Rice. 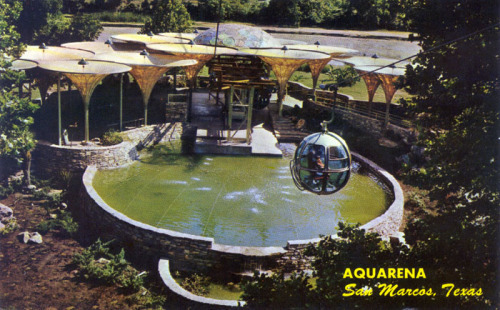 His ranch studio in Wimberley was also his laboratory, where he tested many of his materials and designs. Winn was a member of the Academy of Applied Sciences, the American Institute of Architecture, and the Philosophical Society of Texas. He helped organize an interdenominational church, public schools, and the chamber of commerce in Wimberley. James Buchanan (Buck) Winn Jr. Grave. Courtesy of David N. Lotz Photography. Image available on the Internet and included in accordance with Title 17 U.S.C. Section 107. Although some of Winn's works have been destroyed, a number are still accessible to the public. His skill and industry provided him enough private commissions that, ironically, his place as a muralist in Texas art history has been somewhat obscured, since he did not participate in the much-publicized WPA Post Office mural projects of the 1930s. Kitty Winn died in 1978, and Buck Winn died on December 18, 1979, at Wimberley, Texas. They are buried in the family plot in the Wimberley Cemetery. On December 7, 2010, the the Wittliff Collections at the Alkek Library at Texas State aired a documentary by the Hays County Historical Commission entitled Larger than Life: The Story of Buck Winn. The documentary, directed by Richard Kidd and produced by Kate Johnson, was filmed at eighteen locations in the Southwest and is the first complete coverage of Winn's work. Proceedings of the Philosophical Society of Texas, 1980. Who's Who in American Art, Vol. 3. Dallas Morning News, January 27, 1935. San Marcos Mercury, December 2, 2010, January 11, 2012. Handbook of Texas Online, Dorothy S. Schmidt, "WINN, JAMES BUCHANAN, JR.," accessed April 24, 2019, http://www.tshaonline.org/handbook/online/articles/fwi86. Uploaded on June 15, 2010. Modified on March 15, 2016. Published by the Texas State Historical Association.